Hyundai launched its popular brand i10 in electric version as i10 Blue Drive.The i10 Blue Drive looks diffrently with its fossil fuel powered sisters gets a new set of graphics and also low rolling resistance tyres to enhance both speed and range but overall it yet continues that winning look as our very own i10. Apart from not using any fossil fuels and being a zero emissions car, the cute appeal of this electrically charged i10.The Hyundai i10 electric car is provided thanks to a 16kWh lithium ion polymer battery, co-developed with LG, which drives a 49kW / 65 bhp motor. 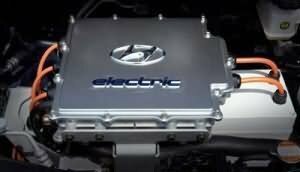 The car does not have any gears making all its torque available at the start itself.The critical parameters for the success of an electric car is its maximum driving range per full charge. 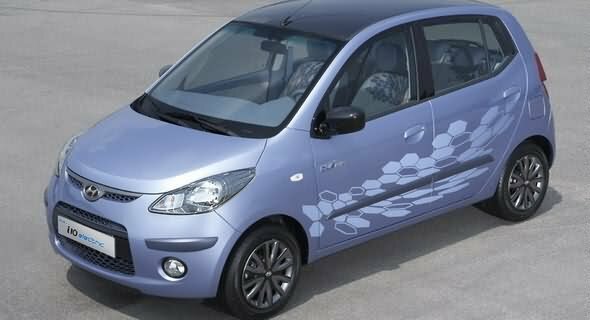 The Hyundai i10 electric offers a max range of 160 kilometers per charge that means small inter city runs are a real possibility for this electric car.Top speed for the i10 electric car is a near about 130 kmph.100 kmph is achieved in 15 seconds provides good standards for any electric car.